Do you know how to protect your property during freezing weather? For anyone living in an area where temperatures regularly dip below freezing, a few precautionary steps to help protect your plumbing can be a cost-effective way to help avoid cleaning up after a burst pipe. Consider that the Insurance Institute for Business and Home Safety (IBHS) says one frozen pipe that bursts may result in more than $5,000 worth of water-related damage. Read on to find out what the IBHS says you can do to help stay ahead of the freeze. Be sure to insulate all accessible pipes well before a cold snap. If you’re not sure what type of pipe insulation to use, ask your local hardware store. The staff there should be able to help recommend insulation that is appropriate for your home and the winter temperatures in your area. Apply pipe insulation to water pipes in unheated areas of your home, such as the garage, or in areas where pipes are near exterior walls, such as under kitchen or bathroom sinks. Regularly listen to your daily weather report, and be prepared for freezing temperatures. If kitchen or bathroom pipes are located near exterior walls, leave the cabinet doors open and use a fan to circulate the warmer air around the pipes. Let taps slowly drip during extreme cold snaps to help prevent water from freezing and to relieve pressure in the event that some water does freeze. Consider installing a water leak alarm in areas where you might expect a problem, such as the basement. The alarm sounds when water is detected and can quickly alert you to a problem. To check on your pipes, the IBHS suggests turning on each faucet (both hot and cold). If there’s only a trickle of water or, even worse, there’s no water coming out at all, then you should suspect a frozen pipe. The source of the freeze is most likely near an exterior wall or where the main water supply enters your home, says the IBHS, so leave the faucet on and use a blow dryer (never an open flame torch or other device) to help heat the pipe until there’s a steady flow of water. Of course, if you can’t locate the frozen pipe or just aren’t comfortable doing it yourself, call a plumber. 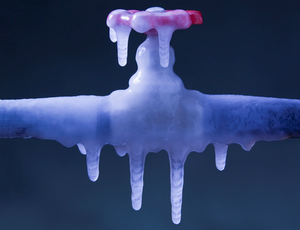 Remember, a plumber may help with relocating certain pipes to help prevent a similar freeze in the future. Preventing a property claim can save you a lot of money and hassle in the long run. Here at G Stan Kearby Insurance we want our insured’s to have the knowledge to prevent these situations. Please give us a call if you have a question. Retailers are gearing up for one of the busiest and most profitable times of year – the holidays. Remember, your insurance coverage is just as important as the quality of items you sell in your store. In today’s world of cybercrime and data breaches, Data Compromise coverage should be a key element of your insurance coverage. 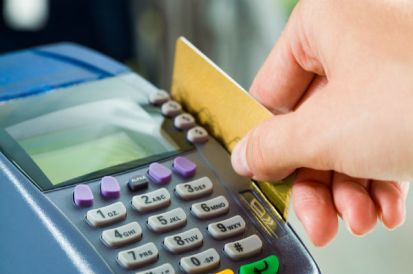 It’s common for stores to accept credit cards as payment for goods. While this adds convenience for your customers, it presents an exposure to a breach of their personal identifying and financial information. Fortunately, Data Compromise coverage can provide you with response expense coverage. If hackers steal the credit card numbers of a store’s customers, along with names and addresses, it could result in thousands of customers’ private information getting into the wrong hands. That information could then be used to open fraudulent credit cards and bank accounts, obtain loans, and make purchases. That’s why it’s so important to notify anyone affected by a data breach. Customers need to know they’re at risk. But that notification can be complicated and costly – $100 or more per record! And customers may expect the retailer to provide additional help. Data Compromise Coverage can provide coverage for legal review and counsel; forensic IT services to identify what data is exposed and who’s affected; notification of affected individuals; personal services for affected individuals, including a help line; and credit monitoring and case managers for identity fraud victims. Please give us a call to discuss this coverage and for specific terms and conditions, including applicable limits. With so many people traveling to visit family friends over Thanksgiving, there are likely to be long lines at rental car companies across the country. Properly insuring a rental car can be tricky. Unfortunately, many consumers don’t even think about car rental insurance until they get to the counter, which can result in costly mistakes. Before renting a car, we suggest that you make two phone calls-one to your insurance agent or company representative and another to the credit card company you will be using to pay for the rental car. Insurance Company: Find out how much coverage you currently have on your own car. In most cases, whatever coverage and deductibles you have on your own car would apply when you rent a car, providing you are using the car for pleasure and not for business. Remember, if you have dropped either comprehensive or collision on your own car as a way to reduce costs, you will not be covered if your rental car is stolen or damaged in an accident. In this case, you may want to purchase the collision damage waiver from the car rental company. Credit Card Company: Insurance benefits offered by credit card companies differ by both the company and/or the bank that issues the card, as well as by the level of credit card used. For instance, a platinum card may offer more insurance coverage than a gold card. To know exactly what type of insurance you have, call the 800 number on the back of the card you will be using to rent the car. If you are depending on a credit card for insurance protection, ask the card company or bank to send you their coverage information in writing. In most cases, credit card benefits are secondary to either your personal insurance protection or the insurance offered by the rental car company. If you have more than one credit card, consider calling each one to see which offers the best insurance protection and travel assistance services. Collision Damage Waiver Sometimes referred to as a loss damage waiver, this is not technically an insurance product. Collision damage waivers do, however, relieve or “waive” renters of financial responsibility if their rental car is damaged or stolen. 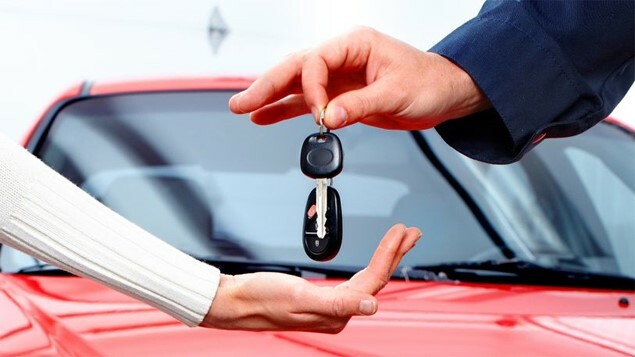 In most cases, waivers also provide coverage for “loss of use,” in the event the rental car company charges the renter for the time a damaged car can’t be used because it is being fixed. Liability Insurance Provides liability protection for up to $1 million. Rental companies are required by law to provide the state required amount of liability insurance. Generally, these amounts are low and do not provide much protection. If you are adequately insured on your own car, you may consider forgoing this additional liability protection. If you feel more comfortable with this supplemental insurance. Personal Effects Coverage Provides insurance for the theft of items in your car. If you have a home or renters insurance policy, you are generally covered for theft of your belongings away from home, minus the deductible. If you frequently travel with expensive items such as jewelry or sports equipment, it may be more cost-effective to purchase a floater under your home or renters insurance policies. This way, the items are fully protected with insurance at home as well as while traveling. If you don’t own a car and are a frequent car renter, you may consider purchasing a non-owner liability policy. This not only provides liability protection when you rent a car, but also when you borrow someone else’s car. States have minimum age requirements to rent a car and some rental car companies now investigate your driving record and/or credit history; check with the rental car company before picking up the car. Posted on October 18, 2017 by Tyler Campbell. Winter is just around the corner! Here are some tips for winterizing your home. With winter approaching, make sure to prepare your home and vehicles for colder weather. You can live more safely, save money, and keep comfortable throughout winter with a few simple steps! Stopped the air leaks? Eliminating air leaks will improve your home's comfort and efficiency. Your first stops should be the basement and the attic. Attic leaks allow warmed air to escape, and have the effect of drawing cold air in through basement leaks. Use a can of spray foam insulation to plug up the offenders in both areas. Here at G Stan Kearby Insurance, we strive to prevent the worst case scenario. While winter damage does happen, some of it is preventable! Please call us if you have any question at 530-674-3430. Posted on October 5, 2017 by Tyler Campbell. I don’t have flood insurance. Do I need it? Floods can happen anywhere–More than 20 percent of flood claims come from properties outside the high risk flood zone. Most federal disaster assistance comes in the form of low-interest disaster loans from U.S. Small Business Administration (SBA) and you have to pay them back. FEMA offers disaster grants that don’t need to be paid back, but this amount is often much less than what is needed to recover. A claim against your flood insurance policy could and often does, provide more funds for recovery than those you could qualify for from FEMA or the SBA–and you don’t have to pay it back. Building coverage pays to repair or replace the insured building and its foundation, electrical and plumbing systems, central air conditioning, furnaces and water heaters, refrigerators, stove, built in appliances and most other permanently installed items. Contents coverage provides payment for the contents of your home or building, such as clothing, furniture, electronic equipment, portable appliances, and larger removable items like washers and dryers. Replacement cost is a valuation method for establishing the value of insured property for purposes of determining the amount the insurer will pay in the event of a loss. It is typically defined as the cost to replace the damaged property with materials of like kind and quality, without any deduction for depreciation. Basic building coverage is available up to $250,000 for home and up to $500,000 for commercial, while basic contents coverage is available up to $100,000 for home and $500,000 for commercial. When you speak with your agent, you may decide that you need more coverage than is available in the basic plans. If so, you may opt for an ‘Excess Flood Policy’, which covers damage over and above your standard policy. Clear as mud? Of course it is! We will lead you through the murky waters of flood insurance so that you can see how the pieces fit together and get the best coverage for your money. Posted on September 26, 2017 by Tyler Campbell. Insurance isn’t your typical water cooler chat, unless of course, you work in the industry. We’d like to change that! It’s summertime and that means you’re chatting with your friends, coworkers and family about next weekend’s plans and those just might include your RV or your boat. Maybe you have a manufactured home in a great vacation location that you’re planning to spend time at. Are you sure they’re all properly covered? See how easily chatting about your weekend plans can turn to the topic of insurance? So, seriously, let’s chat about RV, Mobile Home and Boat Insurance. RV Insurance - Your RV deserves its own policy. In most cases a specialty RV insurance policy costs less than your auto policy and provides the important, comprehensive coverage you need. Simply adding your RV under your auto policy might leave you with surprises if you need to file a claim. Hit the road with peace of mind and proper coverage. Mobile Home Insurance - Covering your mobile home, any additions it may have and your personal property within the structure are important and necessary. Protect your manufactured home against depreciation. Replacement Cost Coverage gives you the money you need to replace what’s damaged versus what it is worth. We’ll help you find the right policy at the right price for your individual needs. Boat Insurance - Is there anything better than a day out on the boat? Yes, the confidence that your passengers, gear and boat are all properly covered. Get out on the water and focus on the fun without the worry of what could go wrong if you have to file a claim. Whether you’re taking out a small fishing boat, or a luxury yacht, finding the proper coverage for your specific needs is vital. We’ve been helping customers get into the right policies for their individual needs for over 40 years. RV, Mobile Home and Boat Insurance are just a few of the policies we can help you with. Every policy is important and we’re dedicated to finding you exactly what you need. Call us for a review of your current policies and for peace of mind 530-674-3430. Posted on June 27, 2017 by Tyler Campbell. One of the most iconic images of summer is the family vehicle packed tightly and ready for a road trip. Almost all of us have memories from our childhood of our family’s summer road trip ventures. Movies, songs and jokes have been made about this tradition. We want to help you avoid having any of those Vacation scenes take root in your own family memories. We’ve put together these vehicle maintenance tips to help you and your family have a carefree road trip this summer. Battery - Have your battery tested, making sure it isn’t low. Getting stranded on the road with a dead battery does not make for fun road trip memories. Brakes - Road trips usually have a destination, but there are always plenty of stops along the way. Make sure your brakes won’t cause you to breeze past stops you intended to make. Belts - Inspect belts for wear or cracks. Oil and Fluids - Getting an oil change before you hit the road and having all your fluids checked and filled are two easy ways to help your vehicle run more smoothly and reliably while you’re on the road. Tires - When the rubber hits the road, you want to make sure there’s a safe amount! Check your tires to help avoid blowouts and flats along your journey. Have your tires rotated if it’s been close to 5,000 since their last rotation. Lights - No need to meet local law enforcement because of a burnt out signal or headlight. Check all your bulbs so you can be well seen when on the road. Air Conditioner - Things are heating up! Uncomfortable passengers do not make for happy road trips. Have your system checked for optimal comfort. Insurance - Avoid any unforeseen issues both at home and on the road while you’re away. Have a review of your policies done and drive off into the sunset with peace-of-mind. It’s the perfect time for your road trip. These vehicle maintenance tips for summer will help you make memories that you’ll want to revisit! Posted on May 18, 2017 by Tyler Campbell. Spring cleaning is on everyone’s mind, inside and out, it’s that time of the year! We want all our spaces checked and in good repair. While we get our office in order, we thought we’d help you keep everything neat, tidy and in good working order around your home. Our spring cleaning checklist for your home is a guide to help your home and your family stay safe and avoid home damage that can affect your peace-of-mind. Appliances - These should be checked to make sure they’re still working properly, and those that that use water should be checked for any signs of leaking that can ultimately cause damage to your home's walls and floor. Refrigerator and Freezer - Deep cleaning your refrigerator and freezer should include checking for leaks underneath or behind the appliance. Sinks and Disposal - Check around your faucet and underneath for any signs of leaking. Dishwasher - Look for any signs of leaks, loose seals or damage. Toilets - Listen for running water or hissing and check for leaks. Washing Machine - Check for any water underneath or behind your washer. Hot Water Heater - Check your hot water heater’s pressure release valve. If you’re able to see the valve, check it for leaks. If it’s plumbed directly into a drain and you can’t see it, listen for a hissing sound. Change Air Filters - Keep dust and allergens from invading your home by replacing your air filters. Replace Batteries in carbon monoxide and smoke alarms - These important devices need annual battery changes to ensure they will work properly in case of an emergency, keeping your home and family safe. Roof - A damaged and leaking roof can cause a multitude of grief for a homeowner. Check for any signs of leaking or damage and have them repaired promptly. Chimney - Schedule a cleaning with a professional chimney sweep. A buildup in your chimney is a fire hazard and can cause problems for your home and your family. Check the outside of your chimney for any signs of damage. Pest Control - Pests can cause problems to plumbing, wiring and even your family’s health. Have a pest control company ensure you’re pest-free, inside and outside your home. Your Insurance Policy - Finally, don't forget to check your homeowner's policy and make sure everything you need is up to date. To check your policy you can always schedule a complimentary call with Kearby Insurance by calling: (530) 674-3430. Posted on May 1, 2017 by Tyler Campbell. Heavy rains and the recent emergency situation regarding the Oroville Dam have put flooding top-of-mind for many of us, making flood insurance more of a topic of conversation than usual. 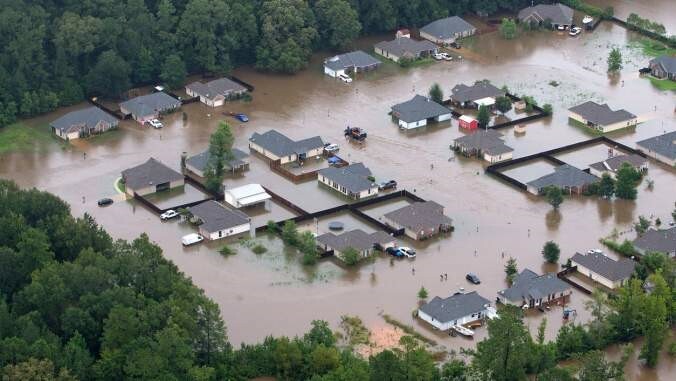 We’ve put together essential flood insurance facts in this blog so you can easily find what you need to know. First-of-all, it’s important that everyone know that no matter where you live, we are all in danger of flooding. If a pipe breaks in your home, or a window breaks during a storm and rain comes in, then the damage to your home and your possessions would be covered. However, if standing water from a storm, or water from a nearby flooded creek or mudflow came into your house you would not be covered at all. Homeowners insurance and flood insurance work together to make sure that your home and belongings are fully covered. Flood insurance is a vital part of being properly covered at all times. There is a 30-day waiting period for standard flood insurance coverage. There is a 15-day waiting period for catastrophic flood insurance coverage. This makes getting proper coverage right now a vital part of your plan. In the last few years, all 50 states have been affected by flooding or flash floods. Homeowners Insurance does not include any flood damage. Everyone lives in a flood zone (it’s true!). Click here to view flood zones for more info. Yes! Flooding is not covered at all under general renter’s insurance. You would be at a total loss should the apartment or home you are renting flooded. In addition to proper coverage for after-the-fact, here are 3 basic flood prevention tips homeowners can take to help ensure minimal damage should you and your home face future flooding. Make sure your property has proper drainage in place. You might consider consulting a professional landscape architect to ensure both surface and subsurface drainage are in place. Keeps grates and basins cleared of debris. Periodically check that grates and drainage pipes are clog-free. Have debri-flow systems in place. You can find tips and instructions by clicking here. These flood insurance facts are intended to help you better prepare you home and family in case of a flood. Don’t wait - Mother Nature isn’t! Call us today for a review of your current policies 530-674-3430. Posted on March 28, 2017 by Tyler Campbell. It’s the time of year when we plan romantic evenings to celebrate love. Often times this includes a cozy fire in the fireplace, candlelit tables, and home cooked meals. You can make it a night to remember, just don’t let your flaming heart and your best-laid plans translate into an accidental house fire! Keep reading for Home Fire Prevention tips that will let you focus on your romantic evening while protecting your home. Keep lit candles safely away from all flammable materials. If your candle is in a holder, be sure it’s not only sturdy but is placed where it won’t be easily knocked over. You don’t want to raise your glass to toast your love and accidentally knock over a candle. 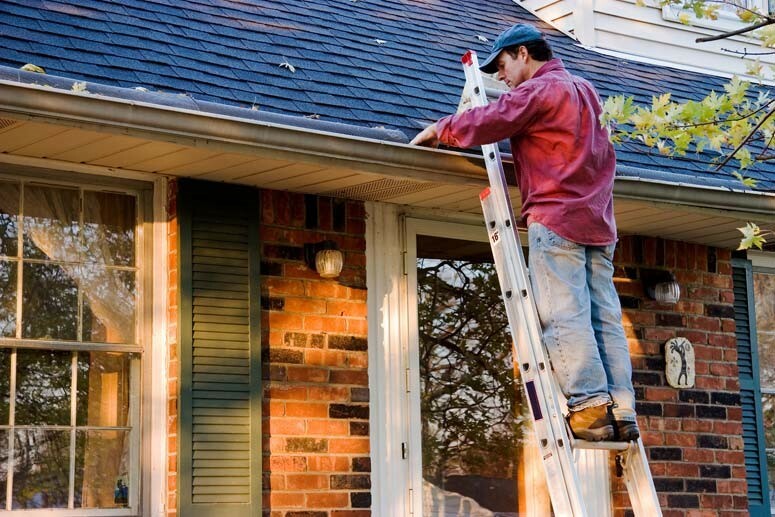 Keep your chimney clean with annual, professional cleanings. The area within 3 feet of your fireplace needs to be free of all flammable items. Remove ash build up regularly. Let ashes cool before removing them. When a fire is burning in your fireplace keep a fire screen up, preventing flying sparks from entering the room. Never leave cooking food unattended. Grease splatters can easily ignite a fire that can get out of control quickly. Don’t wear loose-fitting clothing when cooking. Long sleeves or a loose top can catch fire. Keep all flammable items well away from your cooking area. Wooden utensils, pot holders, and dishcloths should be kept away from the stove unless actively in use. Set a timer. This helps your love-focused brain remember that you’ve got something in the oven. Always double check that your stove and burners are off after you’re finished cooking. Even the best intentions can be met with accidents and fires can start quickly. Be sure you have proper fire insurance for yourself, your home and your property. Peace of mind allows you to relax and enjoy the romance of the season better than anything else. Is your home covered by fire insurance? Call us to review your current policy and to help you get the best coverage for all your needs: (530) 674-3430. Posted on February 9, 2017 by Tyler Campbell. Sticking to your New Year’s resolutions can actually equal better insurance rates! Imagine working to improve yourself and then realizing that it’s saving you money! We think this is all the more reason to make 2017 the year you make and keep your resolutions! Check our list of resolutions that can help you slim your waistline while fattening your wallet. Lose those extra pounds - That’s right, keeping your BMI in the healthy range equals savings on your insurance rates. A slimmer, healthier you means a slimmer health insurance rate. Sounds like a win-win to us! Need help finding your BMI? Use the BMI calculator on webmd.com to see where you fall. Quit smoking - Non-tobacco users can save as much as 50% on their insurance premiums, compared to their tobacco-using counterparts. That’s a significant savings and a great reason to keep your 2017 resolution to be smoke-free! Create a safer home environment - Ask your homeowners insurance company or your agent (we can help) about safety and security discounts. Did you know that something as simple as cleaning out your garage so you can park the car inside may help reduce your rate? Looks like Saturday is going to be productive! Improve your credit score - This might seem like it has little to nothing to do with lowering your insurance rates, but credit is money and a better score can equal a better rate. Speak with your trusted financial advisor to make a plan to increase your score. Drive more safely - Turning off your cell phone, or keeping it out of reach can greatly reduce your risk of an accident. Distracted driving is a leading cause of accidents, which increase premiums. Focusing on your driving and leaving that call or text until you arrive safely at your destination can directly impact your rate. Self-improvement is always a worthy resolution, but when you can work on a better you and lower your insurance rates at the same time, it’s a great way to start the new year! Posted on January 30, 2017 by Tyler Campbell. What is life insurance? Life insurance provides a monetary benefit to a decedent's family or other designated beneficiary, and may specifically provide for income to an insured person's family, and cover burial, funeral and other final expenses. Life insurance policies often allow the option of having the proceeds paid to the beneficiary either in a lump sum cash payment or an annuity. People often wonder if they really need life insurance, and if so, why. We’ll answer those questions and more below. Why is life insurance necessary and important? If you have a family, or others who depend on you, it’s vital that you plan for their care in the event something happens to you and you are no longer here to provide for them. Unless you have substantial savings, life insurance is the life raft that will keep your loved ones afloat after you’re gone. How much life insurance do I need? This question is highly individualized and depends on the size of your family, your savings, your debt and other factors. It’s best to meet with your agent and go over the list of items that need to be taken into account to determine the proper amount of insurance to cover expenses. Are there different types of life insurance? Yes - There are 2 types of life insurance policies. Whole Life - This type of insurance is sometimes thought of as a combination of a life insurance policy and a savings or investment plan. Your policy has cash value. The premiums are significantly more expensive than those of term life insurance (see below). Term Life - This type of insurance is a contract between you and the insurance company for a set amount of time. You pay a monthly premium for the policy (these can be as low as $15 and even less if you’re in good health) for the set amount of time and if you die during this period of time, the insurance company pays your beneficiary the amount of the policy. Be a Non-Tobacco User - Non-tobacco users can save as much as 50% on their insurance premiums, compared to their tobacco-using counterparts. Normal Body Mass Index Number - That nagging number can be a money saver when it’s within the “normal” range. That’s right, staying fit makes a difference on your waistline AND your insurance premiums! Life insurance is an important piece of your planning. We understand that navigating the right type, amount, carrier and premium can seem overwhelming! We’re here to walk through the policies you may already have in place and help you find the exact products that best fit your needs and the needs of your loved ones. Call us for a review of your current policies and to help you find the perfect products and policies to bring you and your loved ones peace of mind: (530) 674-3430. Posted on December 19, 2016 by Tyler Campbell. Health Insurance has been a hot topic in the recent years. Supplemental Insurance can be your safety net for the items your main Medicare policy provided by social security. Medicare supplemental coverage can cover the 20% Medicare does not. We’re here to answer your questions about what Supplemental Insurance is and how it can be an important piece of being properly covered. What is Supplemental Insurance? - Supplemental Insurance is an insurance policy that covers the gaps that can exist in your healthcare coverage due to copays and deductibles. How do I know if I need a Supplemental policy? - Supplemental policies can make financial sense if you have a high-deductible plan. Due to rising costs, a high-deductible plan may make have been your policy choice. But when the unexpected happens, an affordable Supplemental policy can help pay the deductible and costs or they may pay out a lump sum when you are eligible for the needed coverage. What kinds of Supplemental Insurance policies are available? - The most common Supplemental policies include; vision, dental and accident coverage. You can also get an additional prescription plan over and above what is provided on part B of your social security. Why pay for Supplemental Insurance when I’m already paying for a Healthcare policy? - Supplemental Insurance is very affordable; commonly these plans are as low as $12 per month for an individual and between $20-$30 per month for a family. This cost is far less expensive than covering a high-deductible when the unexpected occurs. Navigating the pros and cons of Supplemental Insurance can seem overwhelming. We’re here to help you find the best coverage and policies that make the most sense for you and your specific needs. We’re happy to review your current coverage and to help you fill in the gaps for the most complete coverage possible.